Past few weeks of July, we’ve been updating the codes on our CatLab website and designing a new version of our game controller views! 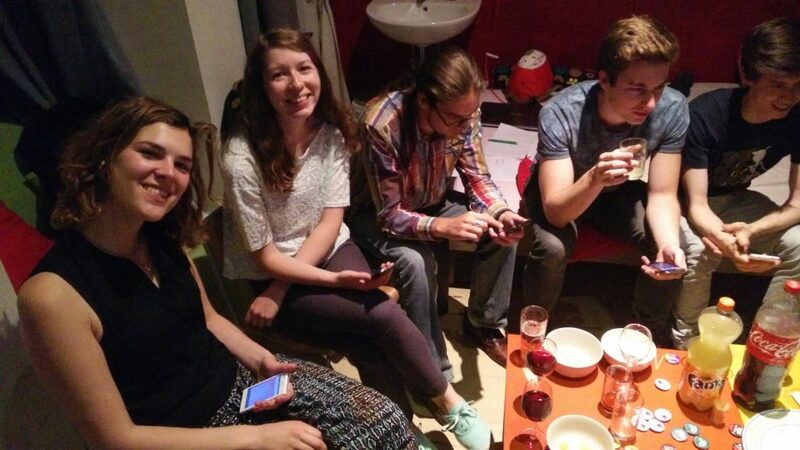 So tests were necessary, and that’s why we organized a true “QuizWitz play and action evening event for awesome people”! We didn’t call it that of course but we organized a fun evening with some friends from each of us to create a diverse group of ‘test subjects’. There were drinks, snacks and feedback from 12 people (we just didn’t have the space for more)! It was a fun evening with lots of quiz questions and winners! As people left for home, we immediately started to plan our next fedback evening. Here are some pictures but we have some more on our QuizWitz Facebook page! The game controller screens were an issue to tackle. We wanted to give players more instant feedback as they answered questions. Our designer Katia came up with some fun designs you can see here. Better yet, test them in action in QuizWitz directly! If QuizWitz is to become a living and vibrant community of people, we have to see it as a tiny society. By defining roles people can assume, we can reach the right people and design the right features for them (and you). We’re working on that by thinking ahead, looking at what different people will be doing on QuizWitz in 5 years. More on this will follow later in August. Lastly, we’re preparing to create some videos in which we go over our updates and give insight in our development process. If you know any topics we should not forget, please do comment in the whiskers box below, or on Facebook, Twitter or send us an email! As always, thanks for reading and don’t forget to adore the cat! Last week we had a booth at Atsusacon, a Belgian convention about Japan and its culture, organized for the first time on our home turf, Ghent! We had a cozy experience with people staying to play quizzes about flags and even chocolate. We installed some poufs for players to relax while they played, and they seemed to appreciate it. People played exactly 100 quizzes about Japan. We came prepared! As people finished playing, we would kindly ask if they wanted to fill out our feedback form. We created an infograph with those results. 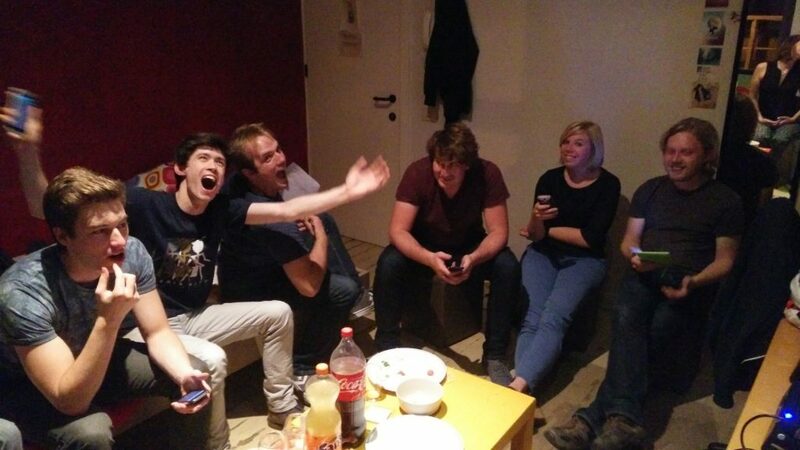 As you can see, everyone would recommend QuizWitz to their friends, and no one would never play! We think that’s a great result. Although we were most afraid people would not understand how to set up a game, everyone seemed to be able to join a game with ease. Based on these results our players were between 18 and 25 years old and nearly half of them were students. Thanks again and thanks in advance! Don’t forget to keep the cat inside during a storm. QuizWitz will be at Atsusacon! We have a short news update for next week! We’ll be present at Atsusacon, so come drop by and play QuizWitz. We’ll bring questions about Asia and its culture. It’s been a while since Made In Asia kept our organizational skills at maximum level. Next week, we’ll be at Atsusacon in ICC Ghent on 18 and 19 July. We’ll bring questions about everything Asia-lovers hold dear, like the origin of bubble tea, the first manga and much more! We’re curious about your preference. 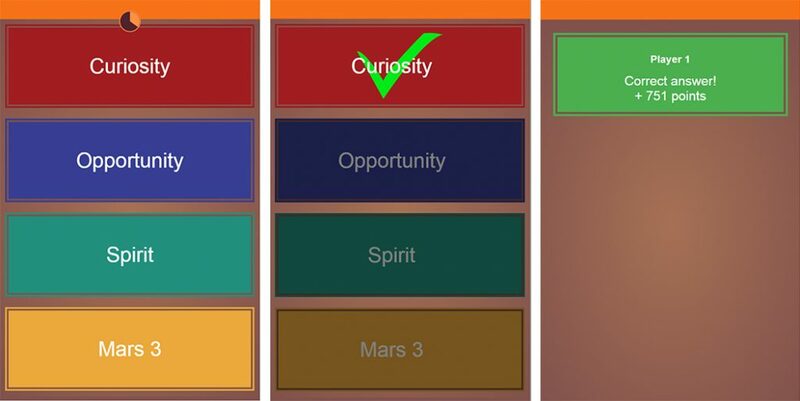 Would you rather play a quiz round with a theme of your choosing? Or with lots of different questions popping up at random? Next to that, we’ll bring our buttons again! 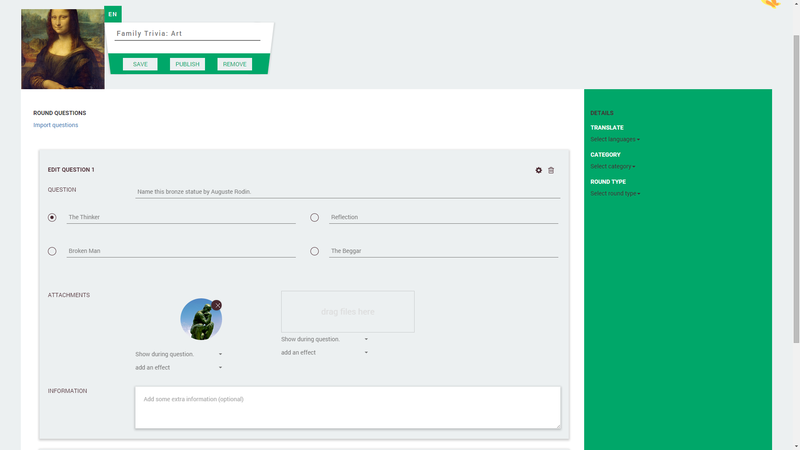 Posted bydaedeloth July 10, 2015 January 7, 2019 Posted inStartup LifeTags: QuizWitzLeave a comment on QuizWitz will be at Atsusacon! You’re feeling ambitious. Your game is nearly finished and you want to reach out to people with all the enthusiasm in the world! Then comes the dreaded question: are you sure you’re ready? Thanks to StartIt, we have found a new view on how we handle the market and our models. We’ll start off with a basic one. Just one page with frames to fill out. Each of them highlights a different aspect of your business model. This helps you to (re)define your focus and strategy. It helps you to develop an effective game in terms of marketing position. A smart project defines its goals, cost models and value proposition as soon as possible. To get an even better view on the value proposition you can also use the Value Proposition Canvas. 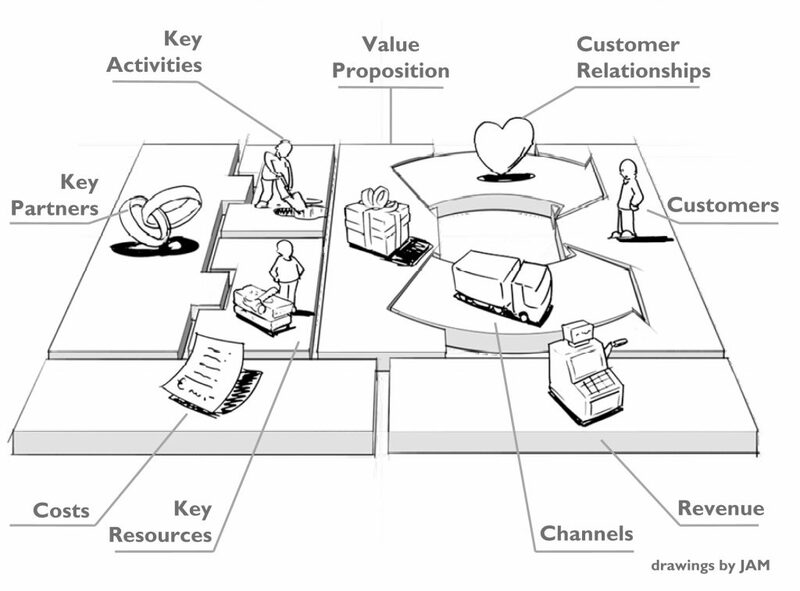 The business model canvas was invented by Alexander Osterwalder in 2008. He started his company Strategyzer thanks to the huge success of his helpful tool. The second tool is an online questionnaire that requires a critical mind of one’s project. It then grades its success rate. This number helps guide you in the right direction. 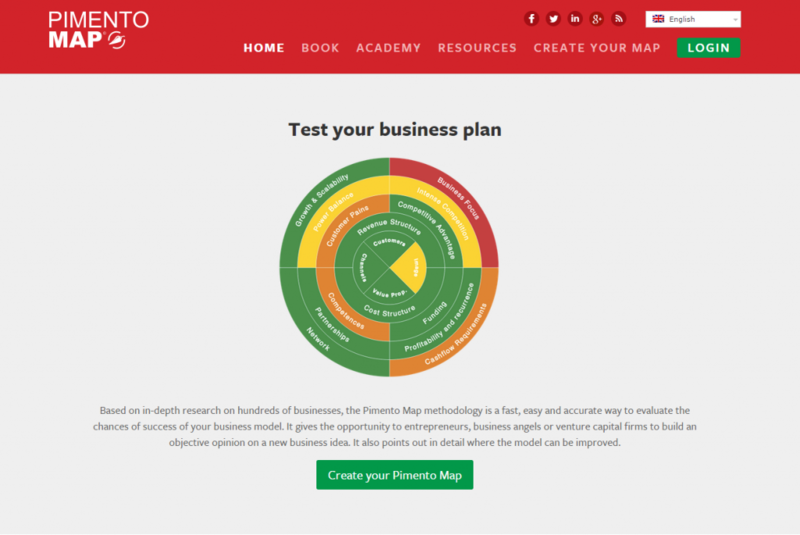 The Pimento Map makes you reflect on the vital elements of your project’s business side. You’ll be able to look beyond your game and take into account the different aspects a projects needs to be successful. Keep in mind that you should fill out the steps anew for each project. 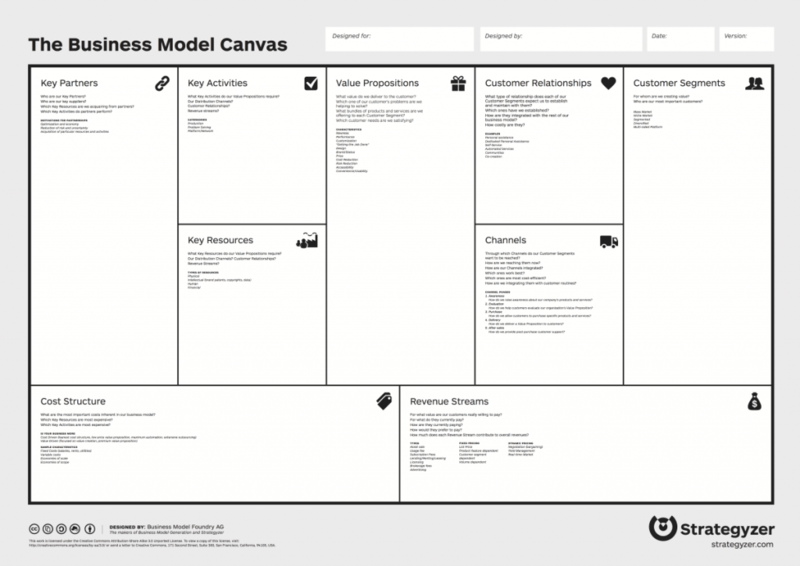 This tool is actually a modified version of the business model canvas. Fill in the frames to help you set up your crowdfunding campaign. Keep in mind it’s only the beginning of your preparations! Most of you will think about crowdfunding and associate it with a web of communication channels, rewards and loads of preparation. This tool helps you to get a clear view of the most important aspects of your campaign. Focus on the why of your project and have the rewards follow that phylosophy. Just a short translation: Waarom = why, project, propositie = proposition, infrastructuur = infrastructure, promotie = promotion, community, kosten = costs, doelbedrag = target amount. 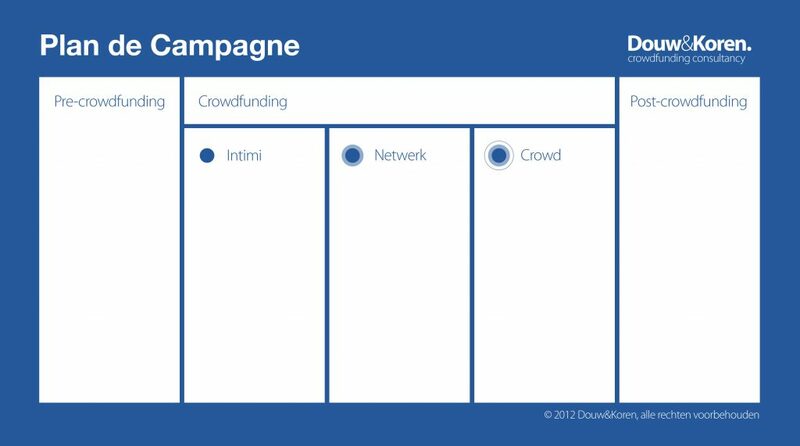 The Crowdfunding Canvas was created by Dutch consultancy company Douw&Koren. 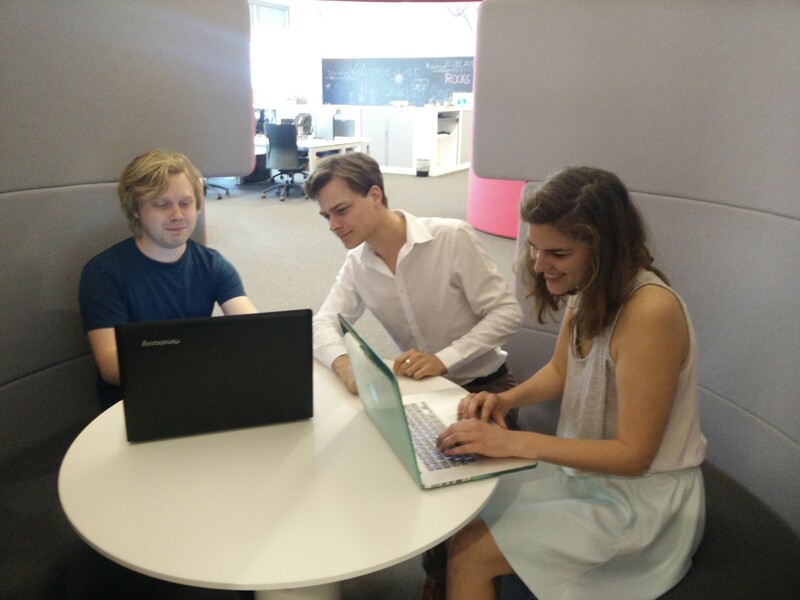 If you have any questions about crowdfunding, they’d be happy to help! We see these tools for what they are; interesting tools. We won’t claim they guarantee success, but they can help you to see the bigger picture and find out what your focus is. You’re entering a competitive business after all. We hope these tools can help you to achieve everything you planned out! Why? Well, we made it into the StartIt@KBC community! And that is a big deal indeed. The organization is backed by some big companies, and that means big opportunities. What is it exactly, you ask? It’s a community of Belgian startups that want to change the world. Cronos, KBC and Mobile Vikings and other big boys aim to support adventurous people like us. 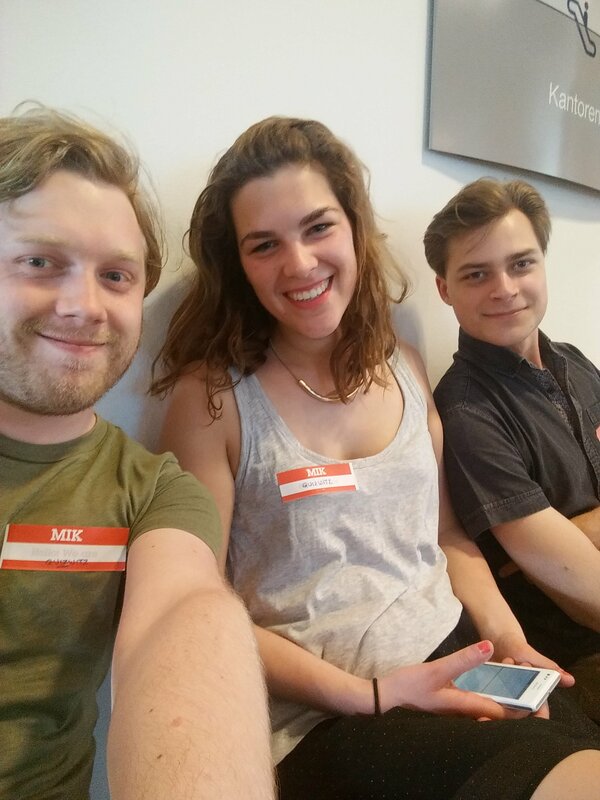 We sent in our project Quizwitz last minute to win a chance to pitch for a jury of professionals. Needless to say it went smoothly. That’s easy. We get an office space for 12 months where we’ll be around other startups, all working on our dreams. Next to that there will be fascinating events where we can learn a lot and mentor will follow up our project, providing help where needed. Thanks to the vibrant community, we might get to work together with some intriguing people, who knows! So what do we plan to do with all this victory? Another easy one! We want to be inspired and reach further. We will learn as much as we can from the people and the events. That way, we can keep doing what we love: create fun games! One of the things we finished past weekend is the image tool for questions thanks to some feedback from a user! If you want to test QuizWitz, and help us with your feedback too, try it all on QuizWitz.com. Thanks a million for your support, and don’t forget to hug the cat! Posted bydaedeloth June 15, 2015 January 7, 2019 Posted inStartup LifeTags: QuizWitzLeave a comment on QuizWitz: The Leap Forward?